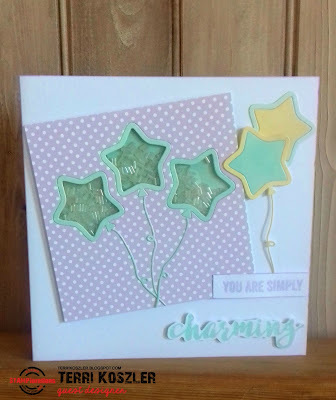 Hi STAMPlorations fans, it's day 3 of the birthday blog hop and wow, how amazing has the hop been so far? 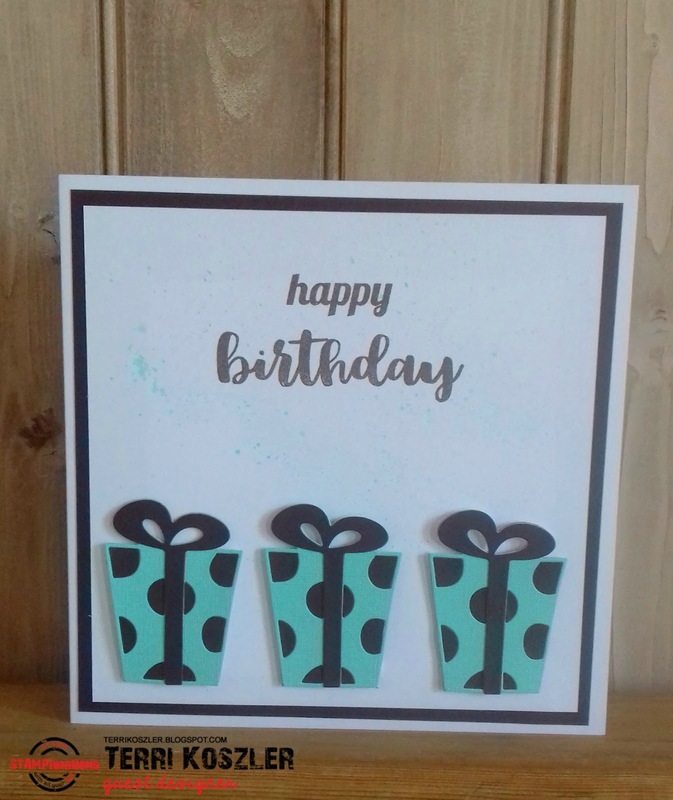 I chose to go with teal and chocolate browns for this card, the gift builder is a fantastic die set, the dies cut so cleanly and the card releases straight away from the die. 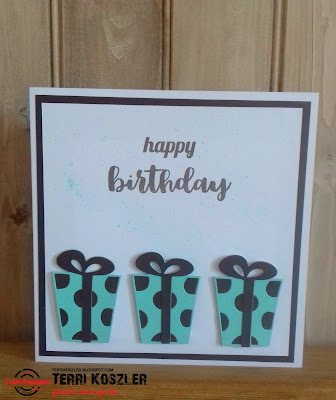 I used the Happy Birthday Stamp Set for the sentiment. 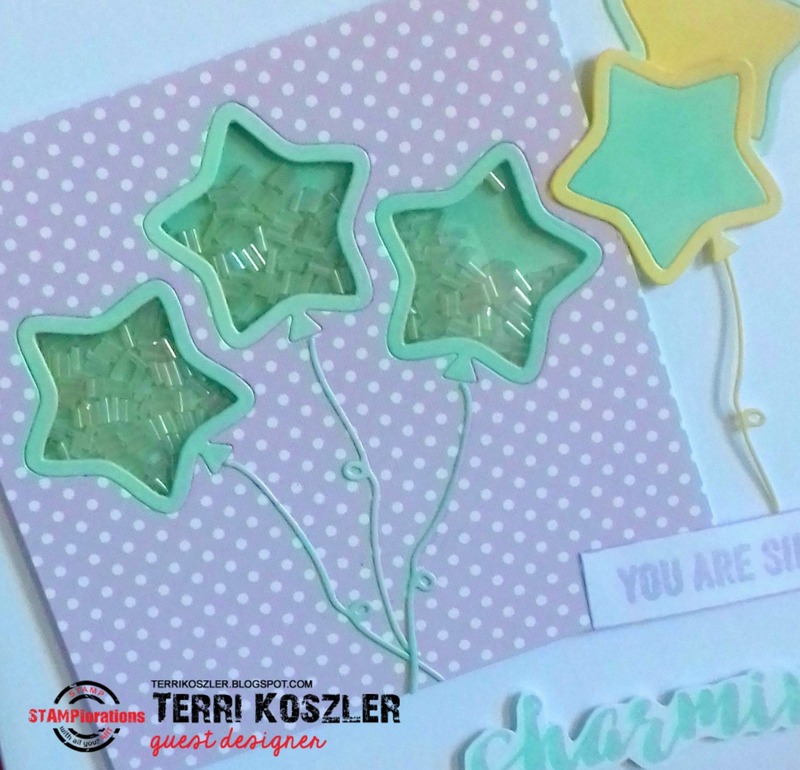 My second project is a shaker card made with the shaker balloon - star die set. 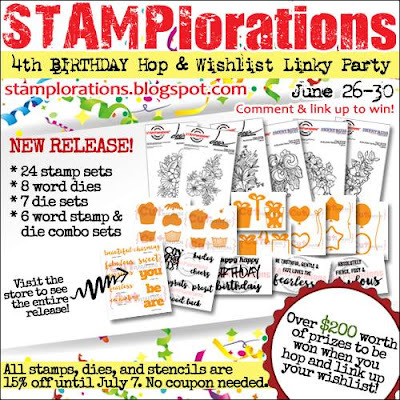 Now's the time to pop over to the STAMPlorations blog and take part in the giveaway. Teal and chocolate - yummy colours! Fab shaker too, I struggle with one on a card and you've managed three. I love the star shakers, so clever! So cute with the row of presents and the star shaker balloons. Love your star shakers and presents. Thanks for the great ideas. I really love shakers & can't wait to get that in my collection. The shaker dies are so fun and I love your darling cards. Love the presents and star balloons! Awesome new dies! Love your fun cards! Oooo . . . these are beautiful! Gorgeous card designs, love the multiple die cuts you used on each card! How fun are these? And another Terri! Can't go wrong with a name like that! Thank you so much, I'm glad you liked my projects. I'm named after my Dad, I love seeing another Terri pop up in the crafting world. Really fun cards! Love the beads in the shaker. 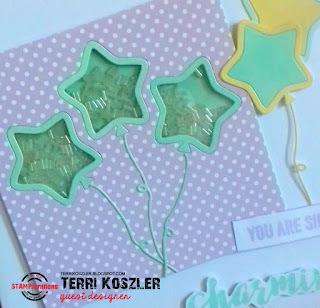 beautiful cards :) love the star shakers, so adorable! thanks for sharing. Lovely. Like the shaker card, though. I love your charming shaker card! These are both super cute!! These new dies are just too fun! Thank you so much Andrea, I'm glad you liked my projects. Winners will be announced on the STAMPlorations blog on the 10th.